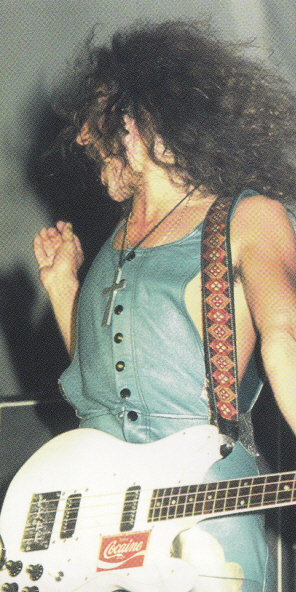 Around the time of the release of Black Sabbath Vol. 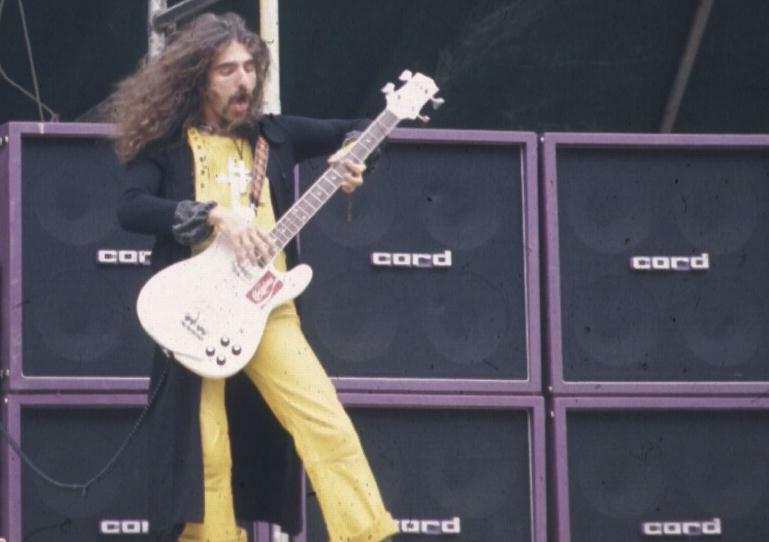 4, Geezer Butler started playing this white bass with an “Enjoy Cocaine” sticker on it that looks like the “Enjoy Coca-Cola” logo. 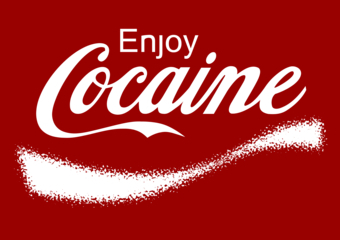 Here’s a close-up of the sticker. 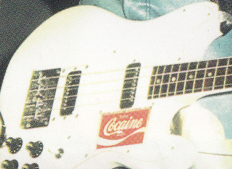 Pretty ballsy to throw that sticker when your bass when you are actually “enjoying cocaine”. Now that’s keeping it real.